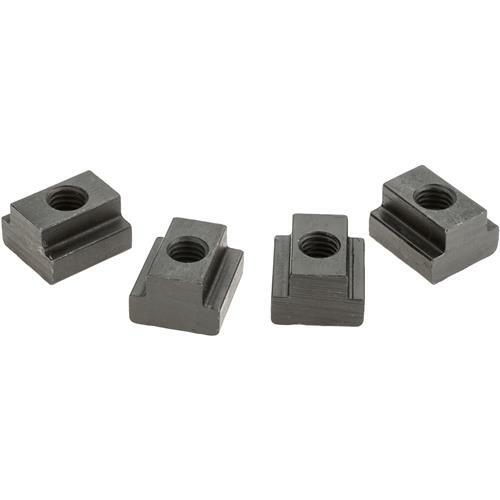 Heat treated steel T-Slot Nuts with black oxide finish feature an imperfect thread in the base of the T-nut to eliminate any danger of screwing the clamping stud through and damaging the table slot. 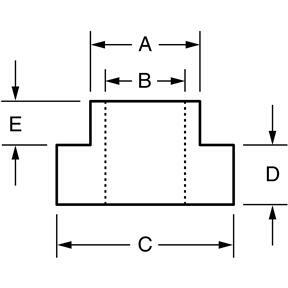 Sold in packs of 4.A: 0.69"B: 1/2"-13C: 1-1/8"D: 0.43"E: 0.33"
Heat treated steel T-Slot Nuts with black oxide finish feature an imperfect thread in the base of the T-nut to eliminate any danger of screwing the clamping stud through and damaging the table slot. Sold in packs of 4.